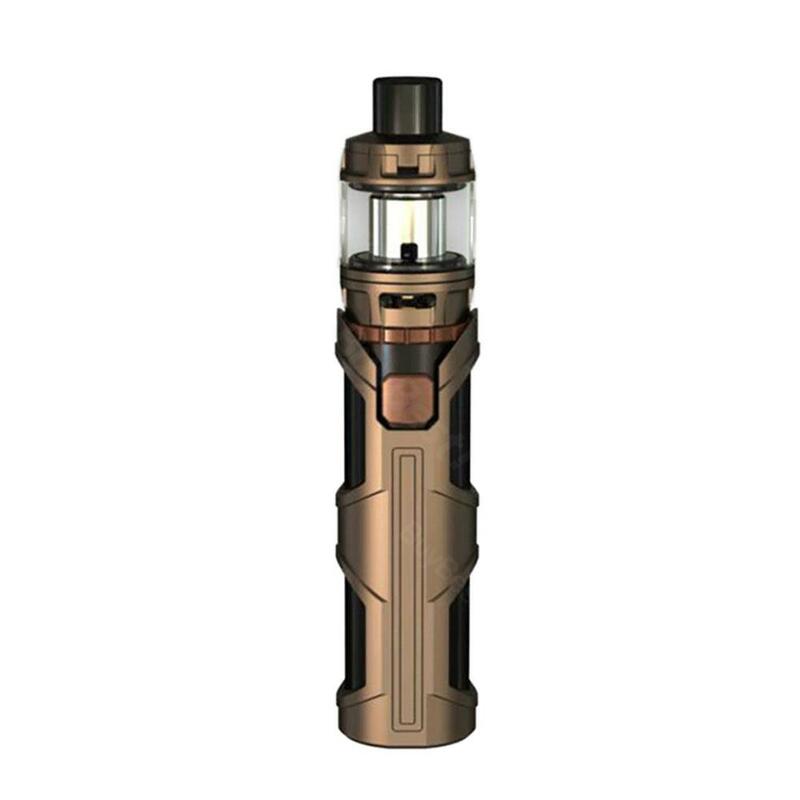 The WISMEC SINUOUS SW Starter kit comes with a build-in 3000mAh SINUOUS SW MOD battery with 50W max output power, and a Elabo SW tank of optional 2ml or 4ml. The SINUOUS SW Starter Kit features WS coil for huge cloud and intense flavor. Available in Black, Bronze, Brown, Gold and Silver colors. The WISMEC SINUOUS SW Starter kit comes with a SINUOUS SW MOD and a Elabo SW tank. The SINUOUS SW MOD is a build-in 3000mAh battery mod of 510 thread, with 50W max output power. The Elabo SW tank is 28mm diameter of spring-loaded 510 pin, with 2ml e-juice capacity, which also can be extended to 4ml with a glass tube. The WISMEC SINUOUS SW kit features WS coil for huge cloud and intense flavor, direct voltage output and attractive appearance with interchangeable exterior shell. The starter kit is engineered with flip top for stress-free juice filling and the LED light can show the battery life. Available in Black, Bronze, Brown, Gold and Silver colors. • Quick link: SINUOUS SW MOD; Elabo SW Tank ; Replacement Triple 0.2ohm Head ; Replacement NS Triple 0.25ohm Head. The mod's uneven design is great; I never worry about the slip off from my hand. LOL. Für den Preis kann man absolut nichts negatives sagen! Geschmacklich finde ich WISMEC SINUOUS SW sehr mild und angenehm. Good starter kit, won't feel regret buying it.